When the Newark outpost of The Halal Guys, the 26-year-old American Halal eatery that got its start as a New York City food truck, has its soft opening this coming January at 72 Halsey Street, the restaurant’s signature chicken and gyro over rice will be one of the highlights of its menu. Halal Guys’ celebrated platters and sandwiches, which consist of humanely raised, slaughtered and hormone-free meats per halal edicts, will feature the distinct flavor profile the original food truck is known for, but in the context of a quick-service restaurant concept. “The typical platter will take less than a minute to prepare. The goal is to be quick and deliver good value and transparency” with platters being prepared in full view of customers, said investor and franchisee Nazmul Huda, when I recently met with him and the restaurant’s general manager, Joseph Hafez, at the still-under-construction location in November. A regular platter, they said, will deliver about a pound of food, and is currently set to be offered for $8.49. It’s all of a piece with what patrons have come to expect from the Halal Guys brand, which got its start, humbly, in a hot dog cart parked at West 53rd Street and 5th Avenue in Manhattan back in 1990. Word of the food spread quickly and soon sent lines snaking down the block, with Halal Guys’ now-signature chicken and gyro over rice playing the role of culinary ambassador for the brand, and New York City’s Muslim cab drivers serving as its vectors. 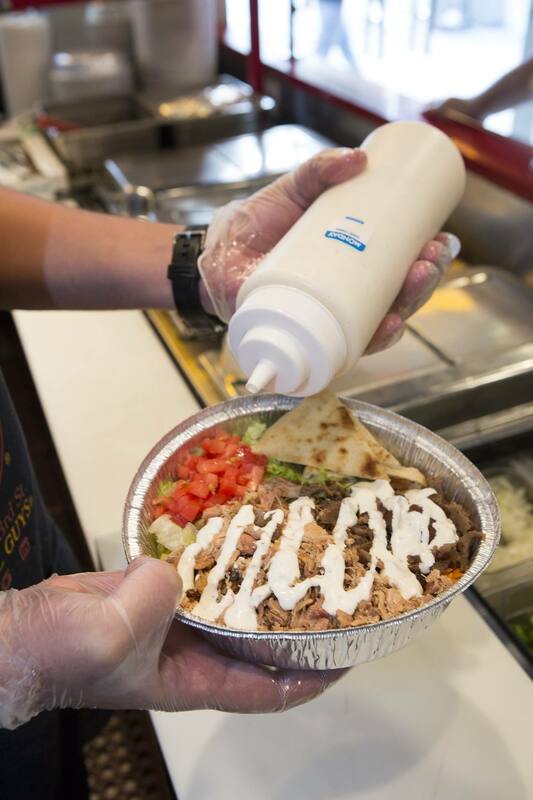 Two-and-a-half decades later, Halal Guys now boasts five carts in New York City, plus 30 current and soon-to-open restaurant locations, according to its website. In addition to the Halal Guys to open on Halsey Street and its location in East Brunswick, the roster also includes locations on the East and West Coasts, in the Midwest and Southwest, and in three international locations: one in Seoul, South Korea, and two in the Philippines. 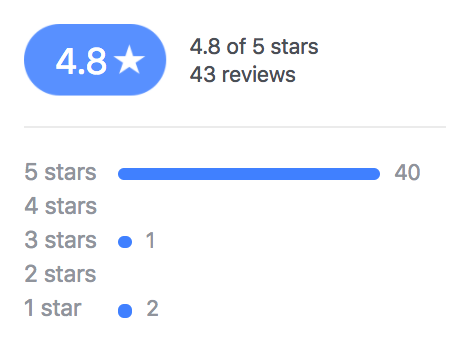 The Halal Guys’ Newark location is so hotly anticipated that it has already received a 4.8 out of 5 review on Facebook–many from people who have had the fare elsewhere–before even opening its doors to the public. But while locals are salivating at the thought of Halal Guys’ signature platters bearing the flavor and aromas of the Middle East and Mediterranean, Hafez, a veteran of the restaurant industry with both corporate and fine dining management and ownership credits to his name, is looking as much forward to using the location as a test kitchen, of sorts, for a program meant to professionalize the restaurant industry, and provide real career pathways for people who work in it. A comprehensive job training program Hafez will launch at the site, in partnership with Goodwill and the Retail, Hospitality & Tourism Talent Network at Fairleigh Dickinson University, will leverage a curriculum specifically tailored to growing leadership skills among entry-level employees, and enable Halal Guys to eventually promote from within. In the process, it could also be a piece of the solution for providing higher-paying middle management job opportunities for local residents. “You go into an area, and you notice the same servers bouncing around from place to place,” Hafez told me. “You might mess up in one place, so you go to another, and you never learn from your mistakes. And one of the reasons for that is because you have no incentive to do your best,” said Hafez. It’s a cycle he has seen repeat itself during his more than two decade tenure in the restaurant industry, and Hafez thinks fixing the issue can provide a triple win: for restaurants, by saving them recruitment and training costs in the long run; for employees, by providing critical skills, knowledge and a potential career track; and for customers, by providing them a better experience. Hafez, who attended Management Center Innsbruck in Austria and is also a certified professional coach (CPC) in addition to being a restaurant management pro, said the program will teach employees a number of soft skills that are necessary to perform well in management positions, including “how to express themselves, handle stress, resolve conflicts, work with a team and work with diverse people,” he explained. In addition to those soft skills, according to a program description and curriculum Hafez provided, the program will also provide instruction around sales, customer service, and smart goal setting. He added that budgeting and money management will also be incorporated. Beyond the training program, Hafez and Huda said they would like to be involved more broadly in their new neighborhood, citing local colleges, churches, mosques and office workers as constituencies they’d like to attract to their store and serve via catering and other opportunities to get Halal Guys’ food out into the community. 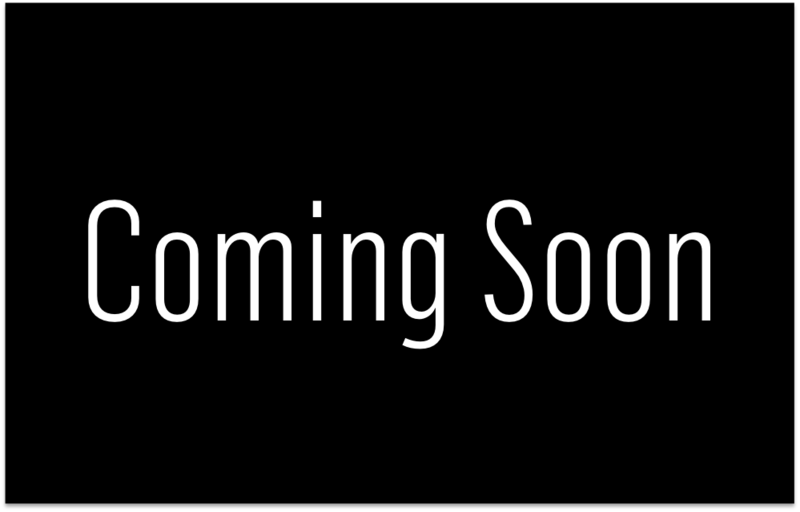 The Halal Guys’ soft opening is scheduled for January 2017. The restaurant will be open daily at 11 a.m. and will close at 11 p.m. Monday through Friday, and at 2 a.m. on Saturdays and Sundays. Their menu will include sandwiches, platters, sides, desserts and fountain beverages. Follow The Halal Guys Newark on Facebook. Browse openings, apply, and sign up for updates about opportunities at work4thehalalway.com.